The Design of Understanding 2014 conference at St Bride Library could have been named The Power of Curiosity, writes Sol Kawage. The one-day conference looked at the way ideas are designed to be more understandable and how the best ideas are often born when designers look beyond their immediate surroundings. 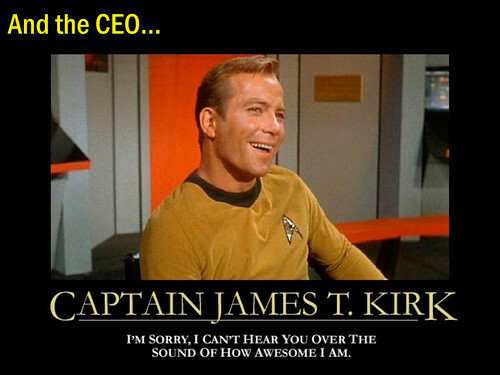 A slide from Tony Quinlan’s presentation, ‘A History of Organisational Storytelling’. Top: Prometheus user interface designed by Territory. Tony Quinlan from Narrate delighted the audience by making his case against ‘namby pamby’ corporate values and abstractions in storytelling. He said that we learn from other people’s concrete experience and micro-stories, including those about failure.‘Never underestimate the ability of people to misunderstand stories’, he warned. 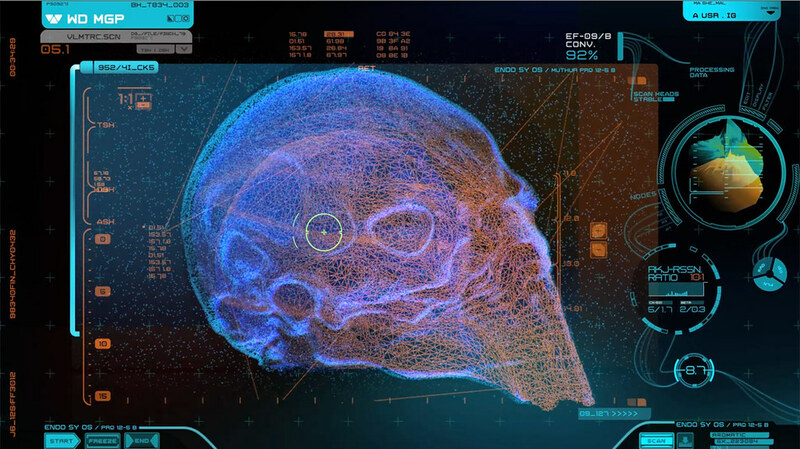 Territory’s Prometheus user interface was created post-production, where a practical application on set was not possible. This interface monitors character Elizabeth Shaw. David Sheldon-Hicks followed by showing how Territory Studio creates user interfaces for sci-fi films. In Ridley Scott’s movie Prometheus, the studio created hundreds of motion screens and paid close attention to detail. Still from Andy Kirk’s presentation showing labratrevenge.com. 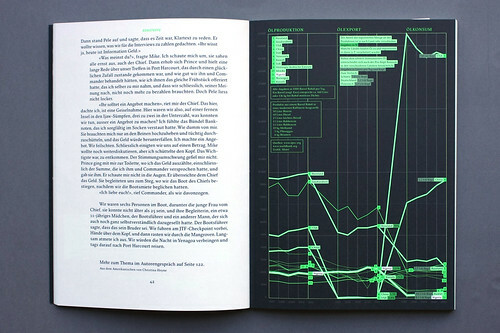 Infographics and data visualisation are a hot topic among graphic and information designers. Andy Kirk presented a thorough overview of high quality data visualisation, which has nothing to do with the plethora of ‘drossy infauxgraphics’ that clogs up the internet. 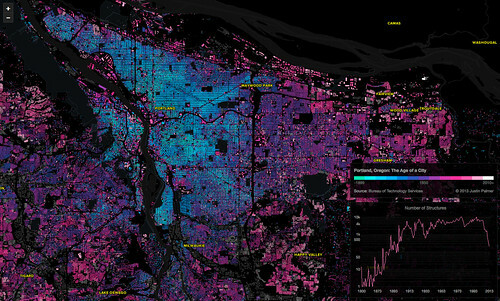 The holy grail of infographics is not only understanding data, but action driven by data. 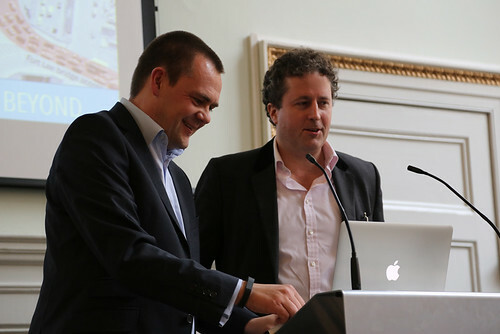 Andy Kirk and DoU founder Max Gadney at St Bride. 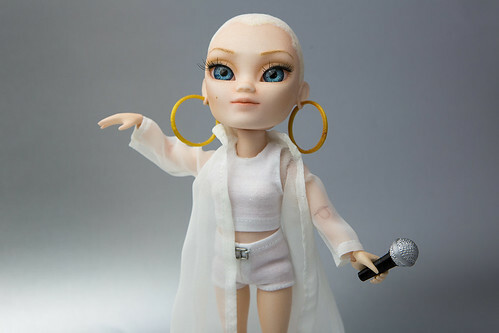 MakieLab’s Celeb Makie doll of singer Jessie J.
Jo Roach from MakieLab recounted the journey her company embarked on to produce their Makies – 3D printed custom dolls that defy gender stereotypes and toy production paradigms. Roach was the sole female speaker of the day. Durrell Bishop from BERG posed the question, Is there a way to get physical products to communicate? His talk was as entertaining as it was full of insights, and centred on the power of metaphors to show hidden meanings in everyday things. Once you understand something you can manipulate it and design it. Slide from Durrell Bishop’s presentation. Matt Sheret, creator of Paper Science, and Eye art director Simon Esterson delved into things lost in the move from paper to digital publishing. Matt Sheret talked about comics and the way a reader will bridge the gaps between the comic panels, stating that ‘meaning rests in the gutters’. Simon Esterson’s slideshow of magazine graphic design were moreish and made the point that magazines are not newspapers and won’t be going away anytime soon. Slide from Simon Esterson’s presentation featuring a spread from Reportagen magazine. Nic Newman spoke about the state of affairs in current news outlets – if the internet is slashing our attention spans with memes and listicles, mobile has enabled us to consume content in places and situations where we would be otherwise be doing nothing. He made a call to action by saying that news media is ‘sleepwalking through the ecosystem in the wrong direction’ and that technologists need to be engaged. Food journalist Andrew Webb gave a summary of our relationship with food, culture and publishing. From government cheese to portraits of chefs looking-wistfully-in-the-distance on their book covers, Webb delivered a high-speed train of cultural crit. The conference closed with Max Gadney interviewing the unexpectedly witty Russell Davies from Government Digital Service. 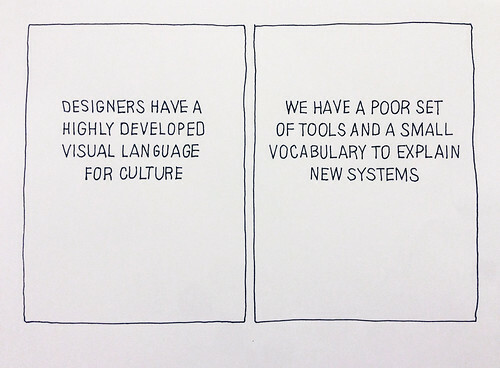 Asked to reveal the secret of his success as an advertiser Davies replied, ‘Type big enough to read and no mumbling’ – a call for clarity and understandable communication to take away from The Design of Understanding 2014. 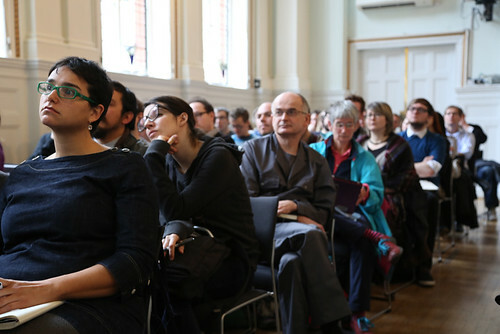 The Design of Understanding audience at the St Bride Institute. Sol Kawage, postgraduate student, University of Reading.